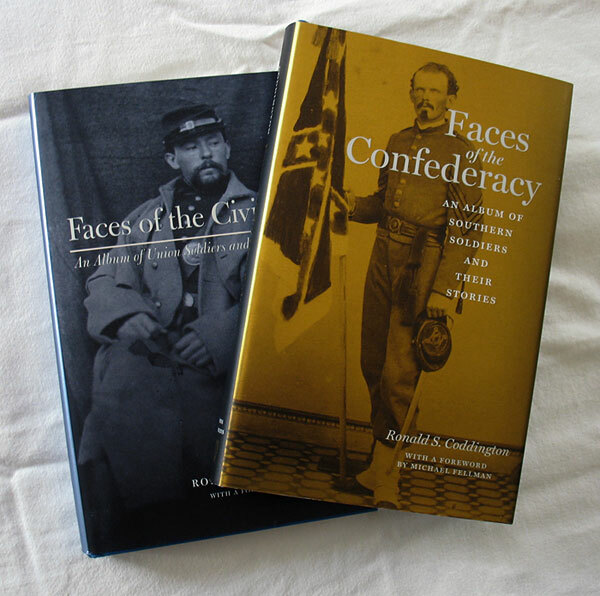 Senior Manuscript Editor Anne Whitmore sent me several jackets for Confederate Faces with a note that really brightened my day: "When these were sitting in my in-box, everyone who walked by stopped and said, 'Wow.' It's just as handsome, arresting, and haunting as the jacket for the Union volume — a tough standard to meet." I salute the design team for coming through again! I am delighted with it. 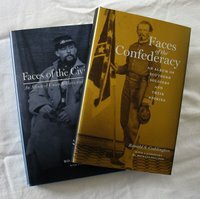 I took one of the jackets and wrapped it around a copy of Union Faces for this picture. FYI: The rest of the book is due at the end of November.